Sometimes failure to recognise when it is time to change is the only reason for failure. "I am reading your book and just listened to the MPS download. They are fab. Great inspiration and superb tips for health and well being. I used to lack confidence but now I imagine I can do anything I want to do. "5.0 out of 5 stars A Really Inspiring Read!" "Davinia has written a book which is completely accessible for everyone! 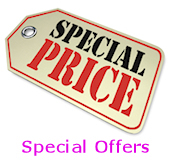 It is extremely readable,each chapter deals with a different topic such as self-esteem and relationships and has easy step by step guides which when followed will definitely help you to gain clarity as to the areas you need to work on AND help you to form a plan to get the results you are looking for. I loved this book and if you really want to transform your life this is a great way to do it, perhaps only to be surpassed by having coaching with Davinia one to one. Sadly (for men!) Davinia only coaches women so this book is the closest the poor male population can get to her wisdom!! " "5.0 out of 5 stars Highly recommended by The Coaching Academy"
"This is the most readable personal development book I've ever got my hands on (and I can guarantee there have been plenty) What I love about this book is that it makes you want to read it as soon as you pick it up. There are pages to write your exercise results in which makes the whole experience more enjoyable. Women will massively benefit from this book - it is aimed at young women, but women of any age will be able to increase their happiness and fulfilment by following its simple steps. For these reasons The Coaching Academy will be recommending this book to all of its students and I have already purchased 15 books to give to female friends and family members. 5.0 out of 5 stars this book will help you be more positive." This book is ultimately a self-coaching book. It not only helps you to focus and set goals for your life but also it challenges all your belief systems and makes you think about who you are and how you 'show' up in the world. This book helps you to realise that your internal voice is often very damaging and is holding you back. This book has made me realise that i need to learn to love myself more and i am now working on this day by day. i am working on my negative self-talk and i am using this book to self-coach myself to be more positive. 5.0 out of 5 stars Simply amazing - well worth a read!" "This book has changed every aspect of my life for the better. I am now far more positive and have increased confidence at work and in my social life. I didn't believe one book could do all this, but I do now - thanks Davinia! I would recommend this book to anyone. 5.0 out of 5 stars Motivating"
"A great read to help you gain confidence in yourself and motivating you to be a better person. The various chapters really help you to gain a better understanding about yourself and what makes you tick. I thoroughly recommend. 5.0 out of 5 stars What a Cool Book." "What a cool book, a fantastic wealth of great ideas that I have started to put into practice and there has been an immediate shift in my life, I feel more positive, I'm seeing my relationships in a different light and I definitely have a spring in my step. I will have to rate this as the best investment in a book that I have ever made. 5.0 out of 5 stars I'm blown away." "Wow what an amzing book, from the moment I picked it up I haven't been able to put it down it is the most brilliantly written self help book I have ever read and please believe me I have read plenty over the last 20 years. This is a life changing book!!!! The book is written with clarity, simplicity and in a practical way that has helped me to start to transform my life in so many ways. it is a book written with love and that love eminates off the pages. I simply adore the way the Author has set out her thoughts and ideas and I was amazed at how easily I could follow each step and see what I needed to do to change my self belief system and step into a whole new me. This book is going to be my number one present for all my friends this year. I cannot wait for the sequel...I do hope I don't have to wait too long. 5.0 out of 5 stars Inspirational"
"I am not really into self help books however when somebody brought me this book as a present I was instantly hooked. The author talks to you through the book like she is your friend therefore making it easier to relate to. The exercises are a great idea as they helped remember what I had just read and not instanly forget it, like a few other motivational books I have tried to read. All in all, I would recommend this book to any lady who needs a little push in the right direction. 5.0 out of 5 stars Imagine & You Can - your own journey of self-discovery." "By reading Davinia's amazing and inspiring book, you will enter on a journey of self-discovery - discovery to find out what makes you tick and what makes you the person you are. We all need a bit of self-improvement and this book can help you become a better person - happier, more confident and motivated, and more fulfilled in every sense ... in fact, a new YOU! By illustrating the points she is making using real life examples and stories, Davinia leads you to assess your own life and realise that, yes, perhaps this relates to me too. Written in a very chatty, uplifting way, with exercises to help you examine your life and true feelings, it's a book that you won't want to put down. A real gem. I can 100% recommend this book - the title says it all - "Imagine and You Can" - and if you follow Davinia's helpful advice, you will! 5.0 out of 5 stars Buy this book & improve your life!" "Buy this book & improve your life! What an amazing read this book is with an array of steps and exercises to help you to feel happier, motivated and therefore improving your life. It will give you a more positive belief in yourself and in all aspects of your life. Thoroughly recommended as a great purchase for yourself or as a present for friends or family. 5.0 out of 5 stars A motivating and inspiring read!" "This book is excellent! A read that will give you a totally new and positive perspective on you life by getting you to question your thinking habits and inspires you to grow into that happy person you know you are deep inside - thanks Davinia! 5.0 out of 5 stars Love this book!" "This is a bright, inspiring book for personal development and confidence. Davinia, the author, asks many questions and encourages working through the book with space for answers and notes, making the learning very practical and fun. This workbook style is really engaging and makes it personal and customised. Although it is aimed at teen girls and is easy to understand, it is equally valuable for adult women as it focuses on health and well-being. I have given it to my daughters and nieces as well as clients and they have all gained insights and enjoyed this practical path to confidence, that they can pick up anytime! 5.0 out of 5 stars Imagine and I am!!" "What I love best about this book is that it is written like it was talking directly to me. Davinia uses personal challenges she has encountered to relate to her audience. She gives examples of conversations I could have had. She teaches you how to look at things differently, changing your mind so that you can change your body. She understands that weight issues are only a symptom of something bigger. There are lots of great activities to do to really figure out what you need to work on to start feeling better about yourself. I am currently working my way through this programme- I haven't had a negative thought about myself in weeks! And I know if I do, I won't let it destroy all the good work that I have done. I am strong enough now to pick myself up and carry on. Davinia and her book have shown me how to do that! I am thrilled and cannot recommend this book enough. I can now imagine a life where I am at goal and staying there! 5.0 out of 5 stars I loved it!" A very intelligently written and accessable self-coaching handbook enabling you to make the positive changes to your life. It is written as if Davinia is actualy there, encouraging, inspiring and motivating you. Guiding you as you as you develop and grow.Ive previously read quite a few books in this genre, but this one was different! It was a book i really didn`t want to put down! It presented me with insights into the inner me page by page. A real journey of self discovery! This book encourages you to make the positive changes in your life that will enable you to have a full sense of happiness, fulfilment and well being. 5.0 out of 5 stars Motivational is an understatement!" "I bought this book after a series of personal training sessions with Davinia. She truly is one of the most inspirational and motivational people I have ever met and her positive effect is absolutely contagious. Reading this book will help you feel more positive about your daily life and the highs and lows that can come with it. It will give you self-help techniques that will help you through many of the situations and scenarios that you may find yourself in; ones where you may need a little guidance and self-belief. I would recommend this book to anyone who lacks self-confidence and self asteem, as it will be an invaluable tool for helping boost both of these personality traits. Enjoy X 5.0 out of 5 stars fantastic book"
"This book is just fantastic, the language used is extremely powerful, it's easy to understand and can be put into practise immediately. I found that the excercises are simple to slip into everyday life, they are fun and trigger the right thinking patterns. The excercises challenge and inspire your naturally curious mind, give them a try and the effects will change the way you think and feel. I thought the examples used in the book are real problems that we can all relate with, the author obviously has a instinctive talent to communicate with others and drive people forwards to achieve their goals. A must read for anyone who wants to improve their life and see quick results. 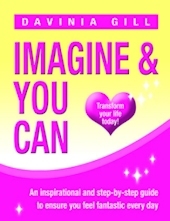 "A truley inspiration book covering all aspects of self belief,confidence boosting and many many more truly wonderful ways in which to "Imagine and you can"
Davinia gives a full insight into why we can acheive our goals,have an amazingly poitive outlook on life and have more energy. This is a powerful book that gives you practical information to transform your life. I can't wait for volume 2 !!" "5.0 out of 5 stars Helping Teens to Discover and Empower Themselve"
"Perfect for the teenager who doesn't want to hear from others but to discover who they are work out for themselves how to get where they want to go in life. Just bring on a macho equivalent Davinia!" "5.0 out of 5 stars Light Bulb Moments!" "I really enjoyed reading this book. I was a little concerned that it would not be suitable for me as I'm only only 16 but I found lots of ideas in the book that I have used to help me in my life. I would recommend this book to teenagers as well as adults". "This book does what the title says - Imagine and You Can! With Davinia's easy to read style, inspirational stories, messages and exercises, this really is a toolkit for imagining a better life. As each chapter relates to a different theme it is easy to dip in and out of the book. Particularly useful are the exercises which have really helped to raise my self awareness about who I am and what I want out of life. A great read, I highly recommend it. 5.0 out of 5 stars A must for all girls & women - great gift too"
"I have found this book invaluable to me & would thorougly recommend it to anyone. I feel that I have a much more positive outlook on life for using the book & the layout allows me to refer back to sections whenever I need a lift or a reminder of the subjects within it. I loved the layout of the chapters & the exercises really help you to personalise it to yourself & to cement the subject matter in your mind since you can relate it to yourself. The case studies also demonstrate the author's first hand experiences with clients so you know that discussed techniques actually work. This book really is a must for girls & women & would make a welcome gift to anyone. "